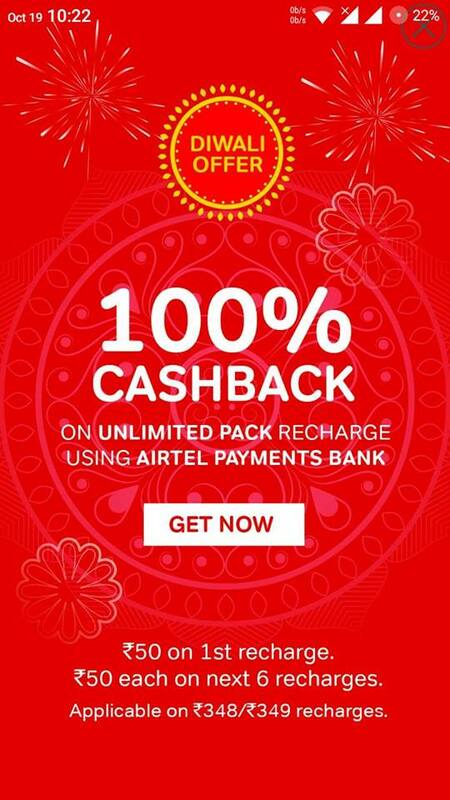 Airtel has now come up with a cashback offer to counter Reliance Jio. 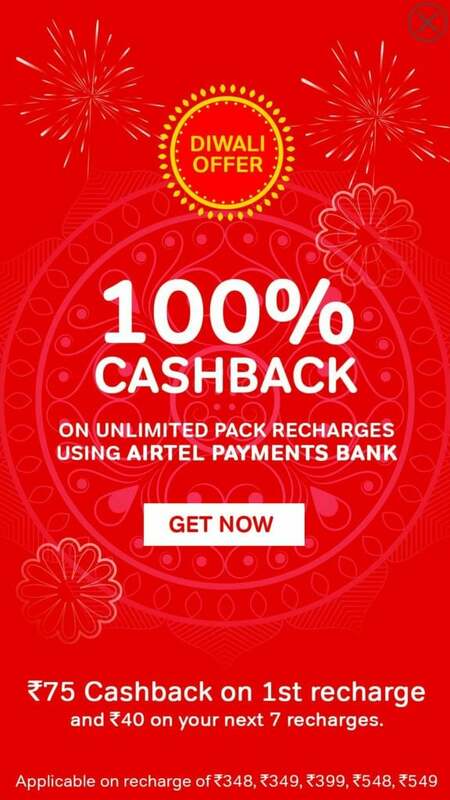 Airtel is offering 100% cashback on unlimited pack recharge of Rs. 348 or Rs. 349. However, 100% cashback is not provided with a single recharge. Airtel says that this a Diwali offer, but the operator did not reveal the offer expiry date. Also, the customer has to recharge using the Airtel Payments Bank to get the cashback, and he can use the cashback elsewhere. Currently, you can pay using Airtel Payments Bank at more than 1 million outlets across the country. Do make a note that this offer works only with the Rs. 348 or Rs. 349 plan. This offer sounds a lot familiar like the recent Reliance Jio Diwali offer, under which the newcomer also offered 100% cashback on the recharge of Rs. 399. However, Jio offered the cashback in the form of vouchers, which you can use for future recharges, but Airtel is offering Rs. 50 cashback itself, which can be used for any purpose. Having said that, this offer differs from person to person. For example, a person has got the 100% cashback offer on Rs. 348, Rs. 349 plan, and other customer will get the same offer on some more plans. As you can see in the screenshot below, this offer is valid for some more Airtel plans such as Rs. 399, Rs. 548, and Rs. 549. Also, the cashback value differs. 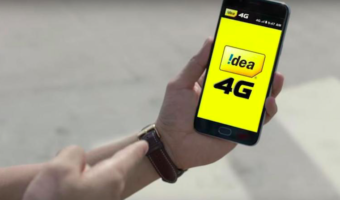 In this above-mentioned case, the cashback on the first recharge will be Rs. 75 and from the second recharge it will be just Rs. 40. Having said that, this offer might differ for you. To recall, the Rs. 349 plan from Airtel offers unlimited voice calls and 1GB data per day for 28 days. Airtel is capping the voice calls to 300 minutes per day and 1200 minutes per week. 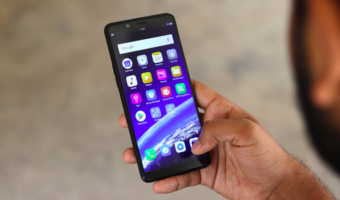 Reliance Jio has recently updated its tariff plans and hiked the price of the Rs. 399 to Rs. 459 with same benefits of 1GB data per day and unlimited voice calls for 84 days. Airtel is still offering the Rs. 399 plan with same 1GB data per day benefit and unlimited voice calls to select users.